Colorful rowhomes in Queen Village. 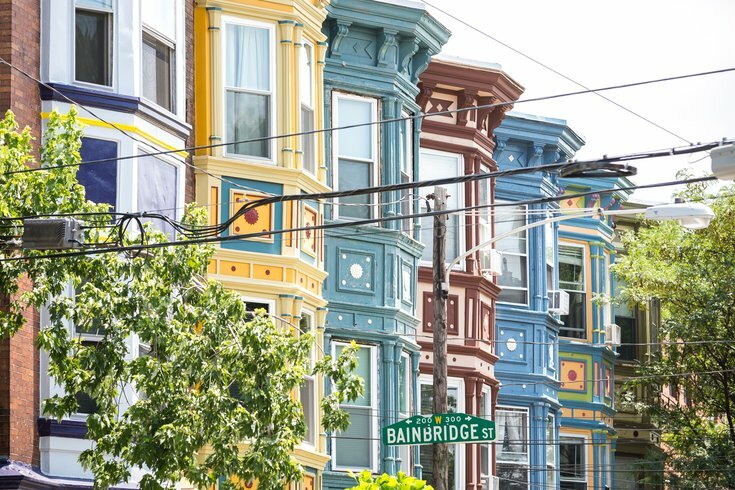 Property taxes throughout Philadelphia are on the rise, with a recent report highlighting some neighborhoods experiencing tax bills that will double or triple this year, seemingly out of nowhere. This week City Council approved a new bill that aims to protect longtime homeowners in Philadelphia from the staggering rates resulting from growing developments and urban property value. Introduced by Councilperson Kenyatta Johnson, the bill is an amendment to the Longtime Owner Occupants Program (LOOP), which was designed to offer tax abatement for homeowners whose property taxes have tripled year-over-year and who have owned their homes for at least 10 years. It's also known colloquially as the "gentrification protection" program. LOOP also requires household income fall below a certain cap, depending on the size of the household, and was slated to end after 10 years; the passing of Johnson’s amendment, however, eliminated the 10-year limit, meaning homeowners could effectively afford to stay in their homes for the rest of their lives. Johnson also said he hopes the City Council will make similarly “aggressive” moves to help secure affordable housing for Philadelphia residents.